That's kinda a result of the game changing over time (and not just this game changing, but "free to play" games in general changing). Originally, when they added pools and multiple stories (just 3 to begin with) there weren't any quests that were a permanent part of the game. Instead the feature was just added (like pools, you update the game and get to level 20 and bam, you can build pools. No hoops.) or there was a limited time quest/event that introduced the new feature (weather, multiple stores). But if you started playing after the limited time quest event you didn't need to do anything to have access to those features. Later, they added the main, queued quest system where you had to jump through all these hoops to unlock the features. A good thing about this quest system is that it brought back as permanent prizes items that were originally only unlocked through limited time prizes for events. And then later they added the Discovery quest system. Those are the quests you can pick when to do. So the reason you can'tjust do a quest to build pools with Bree whenever you want is because pools were added way before Bree was. And they aren't going to do a huge overhaul on their entire system now. Plus, it's pretty common for games to have things that are unlocked by doing other things. Do this to unlock that to unlock the other thing is pretty standard for mobile games nowadays. I want my sims to be able to lie on a bed to watch tv, so they won't have to sit on the floor. 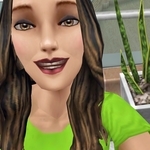 what would you like to see in SIMS FREEPLAY ??? like we can make our own wallpaper and floors with our own art. We just got that! Plus, i would love a time machine that can give us plots inspired by old civilizations and/or show us what sim town looked at that time. I’d like toddlers and babies and preteens to be able to interact with each other. Right now they can’t even acknowledge each other’s existence, and I wish they could do something together. I also wish that sims holding babies could pass the baby from one person to the other without having to put the baby down first. I would like the volcano and Goddess statue to give MORE THAN ONE OR TWO LIFE POINTS. As much as we have worked to build the darn things, we should get AT LEAST 10 LP's and on special occasions or holidays, way more lps!!! I'm still working on my wind statue, so no volcano yet!!! We should be able to trade in xps for LPS or social points. Right now, they rack up and have no use. I just had an idea I think a lot of players will like. You know how you can tap the wardrobe to swap between normal, sleep, and swim wear? What if there was a button in the customization screen to save an outfit for the sim you were currently editing? You could save maybe three to five outfits or so per sim, and then just tap the wardrobe and there would be another button like "swap outfit" that would quickly allow you to choose any of your saved outfits for that sim and change their look fast. I don't know about you, but I often leave my sims wearing a single set of clothes because it's too much work to go in and change their clothes all the time. But I would really enjoy being able to have a few different looks per sim (maybe a formal one, a casual one, and a jogging outfit, or something) without having to go through and remake the entire outfit every time I change clothes around. What do you guys think? 1> Reduction in cost of Wedding Rings. I've lost LP to rejected proposals. 2> Storage for rings and others. In the case of rejected proposals, you should be able to keep the ring for another later attempt or for another couple. You can store Birthday Cakes in an "unnamed box" why can't you store rings? 5> Tasks to earn MP during standard pregnancy. "Super Sim" pregnancies had that whole quest chain to earn MP, why can't other tasks be available? Reading a maternity book, practice Lamaze, get a massage from spouse, etc; and other such tasks at various locations. Just having Pregnant sims effectively garden-bots is lame. Last edited by ErinPW on 30 Aug 2018, 10:26, edited 1 time in total. I wish the toddlers could get under the covers like other Sims instead of putting a coverlet over themselves. Also, I wish everyone could use the bunk beds. I have moved your post to a related topic.